Enjoy these halloween crafts, it is a great seasonal activitiy for autumn! The first project is really fun, and will be sure to produce giggles! 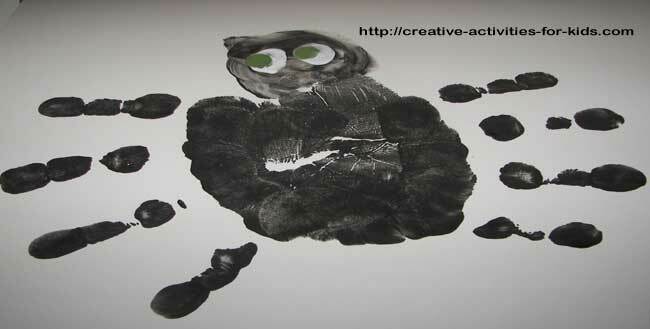 Paint your little one's foot with the white tempera paint, and have them press their foot onto the black paper. Now have them dip their thumb into the black paint to make the eyes and face. 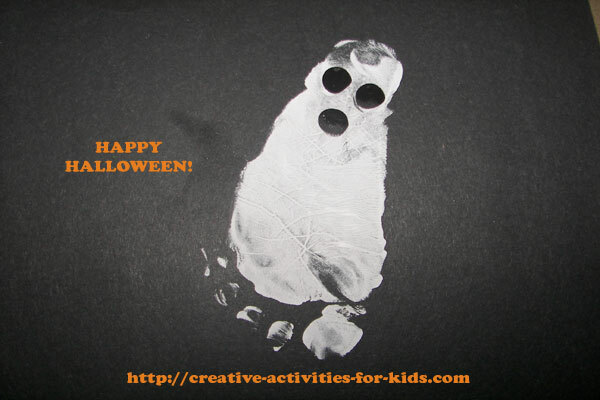 We do this on cardstock to make Halloween cards for our friends! Did you like the Halloween Crafts page? Check out more crafts here!